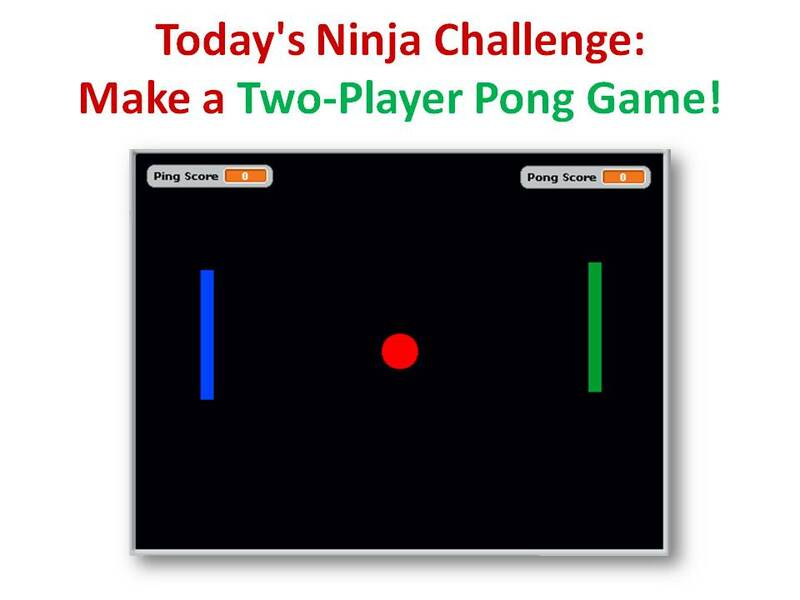 Intermediate Scratch – Challenge 14 – Build a Network Pong Game! This week’s challenge is to build a 2-player networked Pong game. This challenge made use of the networking ideas that we covered when writing a network Chat program and previously when we learned about networking. If you would like me to send you these slides in PowerPoint format, feel free to get in touch on Twitter or via the comments!